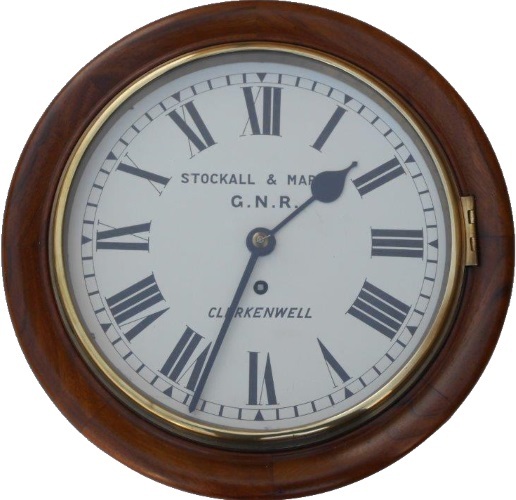 Lot 165 RAILWAY CLOCK. GNR 10" Mahogany cased clock, marked BR (E) No. 8077 on the rear of the dial The clock face carries the inscription of Stockall and Marple of Clerkenwell - G.N.R. This fusee clock is complete with pendulum and key and was used at Mexborough motive power foreman's office. A fine looking clock. Full working order.